Floodlights | Exalto Emirates LLC. Convection vertical heat sink design. Single stud mount base. 90% Optically pure. Enhanced optics optimize distance and depth prime drive for enhanced reliability &amp; output.&nbsp; 105&deg; Adjustable trunnion bracket mount. Vertical fins maximize heat dissipation. Low power consumption. 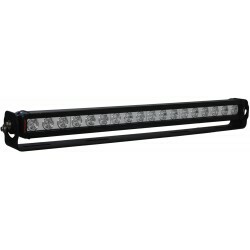 The Vision X 24.26&rdquo; CTL-HPX18 features 5 watt LED technology. Coming in multiple beam patternsthe 10&deg; narrow beam for great distance, with little spread. Then the 40&deg; flood beam for great spread, with little distance. The CTL-HPX18 comes with an extended warranty, and multi-volt 9-32V dc input. 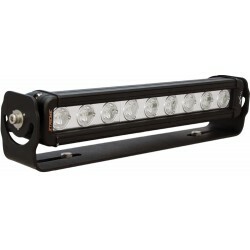 This light weighs 7.28 pounds and offers a mounting depth of 3.11&rdquo;. Coming with a 60 point 360&deg; locking trunnion adjustment also with prime&nbsp;drive for enhanced reliability and output. 60 Point 360&deg; locking trunnion adjustment prime drive for enhanced reliability &amp; output. Integrated electronic thermal management (ETM). 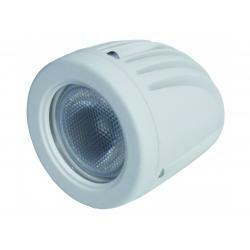 Xtreme five watt LED is driven to 90% efficiency. Enhanced optics optimize distance and depth. PWM integrated dimming circuitry. 90% Optically pure. 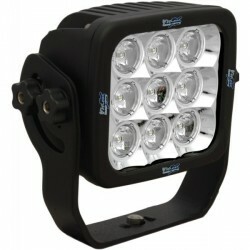 The Vision X 13.87&rdquo; CTL-HPX9 features 5 watt LED technology. Coming in multiple beam patterns the 10&deg; narrow beam for great distance, with little spread. Then the 40&deg; flood beam for great spread, with little distance. The CTL-HPX9 comes with an extended warranty, and multi-volt 9-32V dc input. 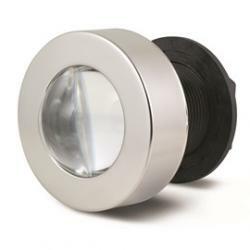 This light weighs 4.19 pounds and offers a mounting depth of 3.11&rdquo;. Coming with a 60 point 360&deg; locking trunnion adjustment also with prime drive for enhanced reliability and output. 60 Point 360&deg; locking trunnion adjustment prime drive for enhanced reliability &amp; output. Integrated electronic thermal management (ETM). 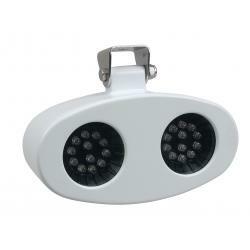 Xtreme five watt LED is driven to 90% efficiency. Enhanced optics optimize distance and depth. PWM integrated dimming circuitry. 90% Optically pure. The Vision X 11.75&rdquo; MIL-PMX3090 features Prime Drive Technology, a wide flood beam pattern that offers a very wide amount of light with not asmuch distance, and black aluminium housing. 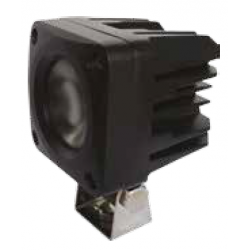 The MIL-PMX3090 comes standard with an extended warranty, and 24V dc input. 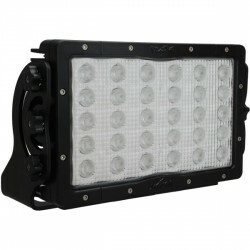 This light weighs12.34 pounds and offers a mounting depth of 3.11&rdquo;. Coming with a reinforced gasket bezel and a 360&deg; fully adjustable mounting system. Integrated electronic thermal management (ETM). 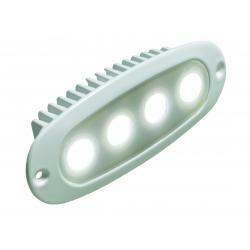 Xtreme five watt led is driven to 90% efficiency. 360&deg; Fully adjustable mounting system. Reinforced gasketed bezel. 90% Optically pure. High intensity LEDs strobe light utilizing 18 LEDs to create a 360 degree pattern. Clear lens with coloured LEDs produce more light. Shatterproof polycarbonate construction. Magnetic base standard. 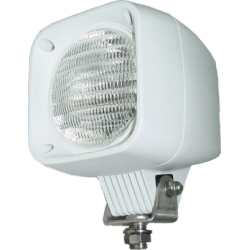 The Vision X LED strobe beacon utilizes 18 LEDs to create a high intensity strobe light with a 360&ordm; pattern. 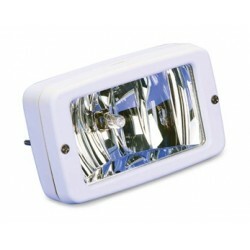 The beacon consists of clear lens and coloured LEDs producing more light. 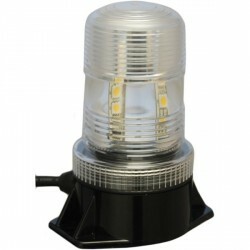 With a Hi-Impact plastic housing and available magnetic base, the LED strobe beacon from Vision X is second to none. Brushed marinium alloy or white powder coat finish. 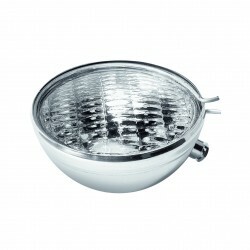 The light may be mounted in any orientation that allows for maximum adjustability, on either a flat or round surface. When mounting on a round surface install the saddle between the bracket and mounting surface. Low draw, long life LED lighting. 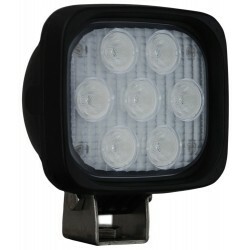 12 Volt LED. 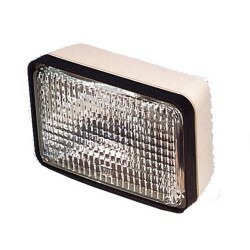 LED - 12 volt, 9W. 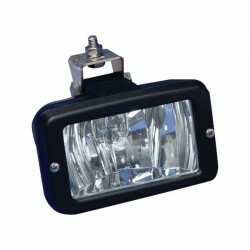 LED beam: 15&deg;. Lab rated LED life: 50,000 hrs. Screw size: 8 mm. Dimensions (l x w x d): 6⅜&rdquo; x 3&frac12;&rdquo;x 2&rdquo;. Height from rail mount: 41/16&rdquo;. Height from surface mount: 3-15/16&rdquo;.